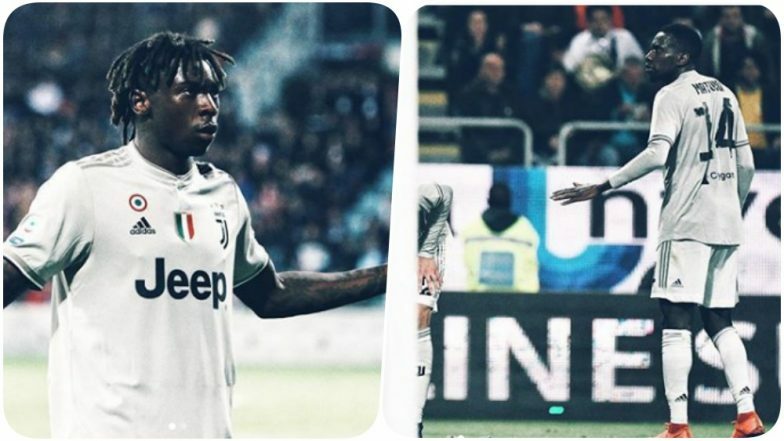 Juventus forward Mosie Kean was abused racially by the crowds during the Serie A match with Cagliari. The 19-year-old footballer scored a goal in the 85th minute it was his goal celebration that provoked the Cagliari fans. The Juventus forward celebrated with his hands outstretched infront of the fans, which surely did not go down well with the home supporters. In return, the crowd hooted racist chants and reportedly threw objects at the footballer. During the match, Kean, along with his French teammate Blaise Matuidi and Brazilian Alex Sandro, had been targeted by monkey noises. The noises just escalated after the second goal. Kean on Target for Juve Despite Racist Abuse in Cagliari. However, Leonardo Bonucci and Massimiliano Allegri felt that footballer is to be partially blamed for the racist chants as he shouldn’t have provoked the fans. “Here were racist jeers after the goal, Blaise heard it and was angered. I think the blame is 50-50, because Moise shouldn't have done that and the Curva (Cagliari fans) should not have reacted that way,” said Bonucci after the match to Sky Italia. Talking about the game, Juventus went on to win the game by 2-0. This was Juventus’ eight consecutive win the Serie A game which has brought them closer to the winning the title.